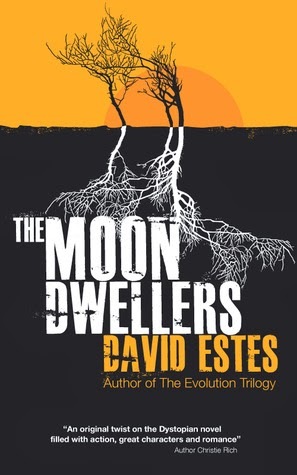 The Moon Dwellers is the first book of The Dwellers saga by David Estes. Available at Amazon. I enjoyed this story for young adults and bought the second book in the series before I finished reading this one but I was introduced to Estes through more recent works (Salem's Revenge) before backtracking to this series. While there's not many changes to Estes' writing style, he does grow as a writer between then and now, especially in the way he handles the delivery of details. The beginning of this book was a little difficult because a lot of disorganized details are thrown out all at once, which allowed a couple typos to slip past editors and proof-readers. It was hard to suspend my disbelief until I read past the descriptions of the new world to where the action-driven plot took over. Once I hit the action, I was sucked back into the story (though mentionings of the tunnel-world and its creation/layout continued to pluck at my suspended-disbelief). I really like the main female character, Adele, and want to see what happens to her.